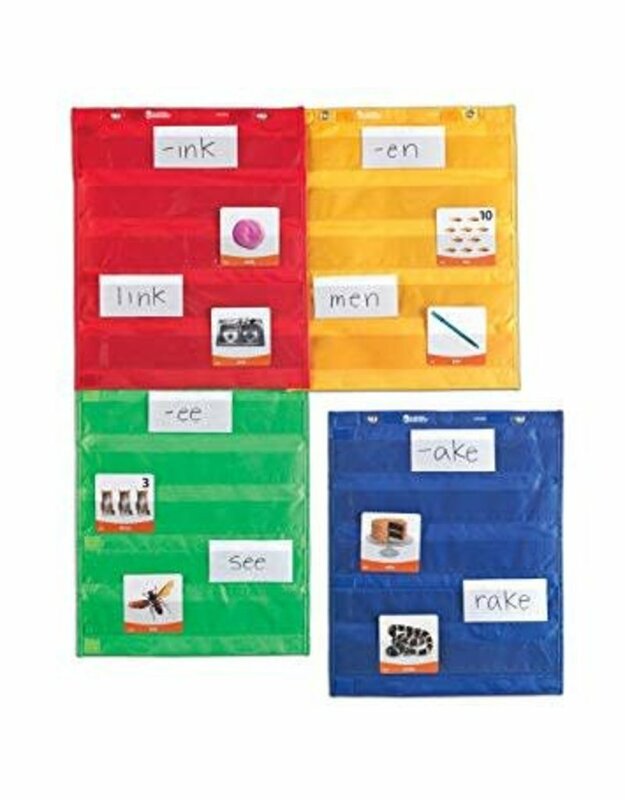 Learning Resources Magnetic Pocket Chart Squares. 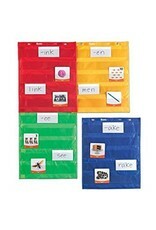 These Learning Resources best selling pocket chart squares help display learning aids in a clear and hands-on way. The charts feature grommets that enable them to hang on the wall and magnets to display them on magnetic surfaces. The pocket charts feature five clear horizontal pockets on the front and two large pockets on the reverse for a variety of storage and display solutions. Each individual magnetic pocket chart square measures W x H: 35 x 42 cm.